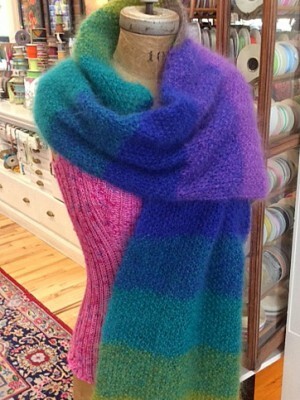 The kit for this beautiful shawl includes instructions and enough yarn to create this shawl, or two scarves, or an infinity cowl. 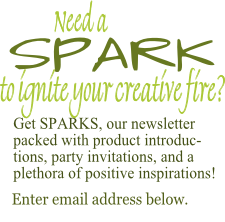 For all the details, see below. 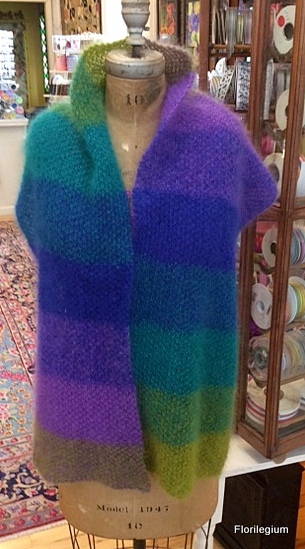 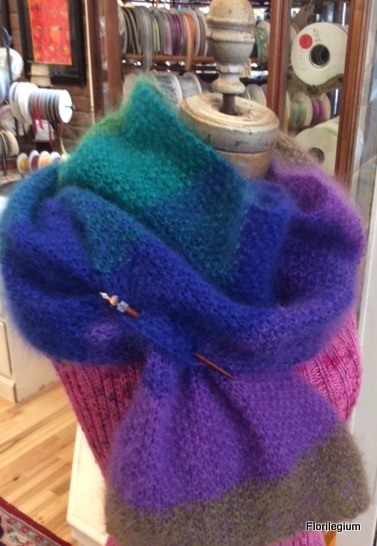 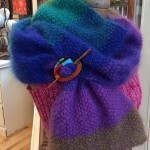 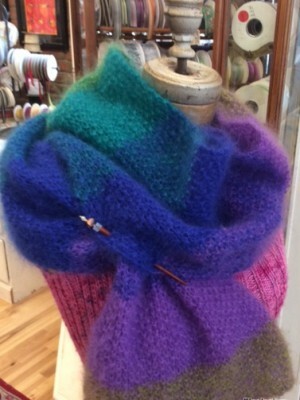 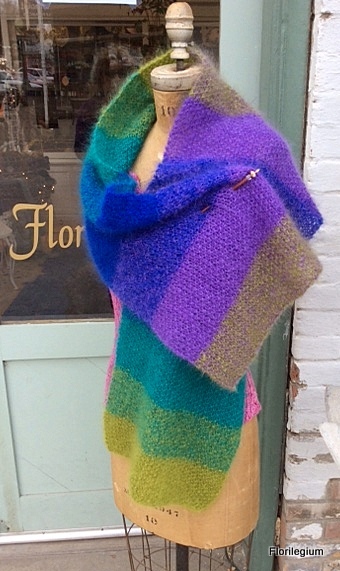 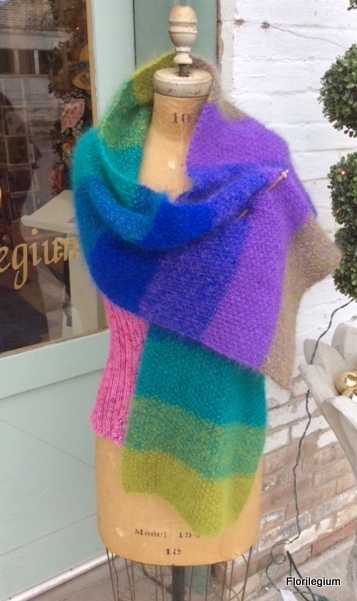 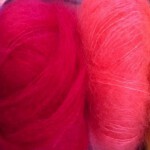 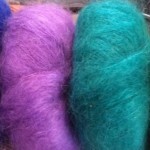 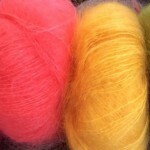 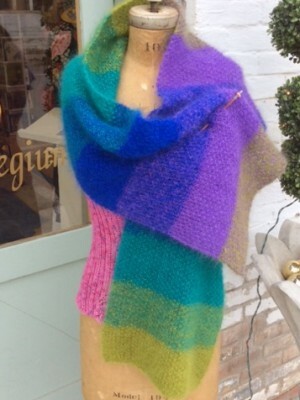 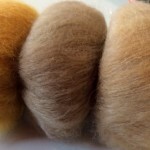 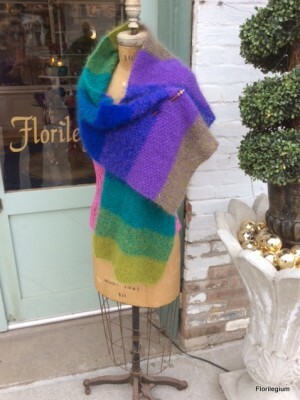 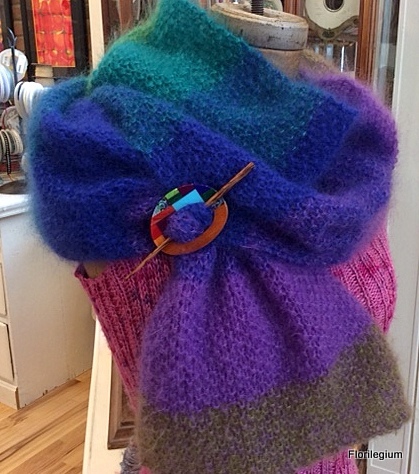 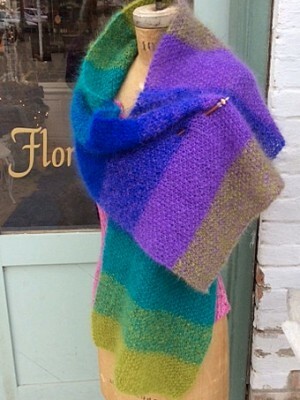 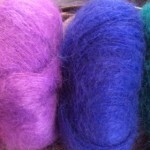 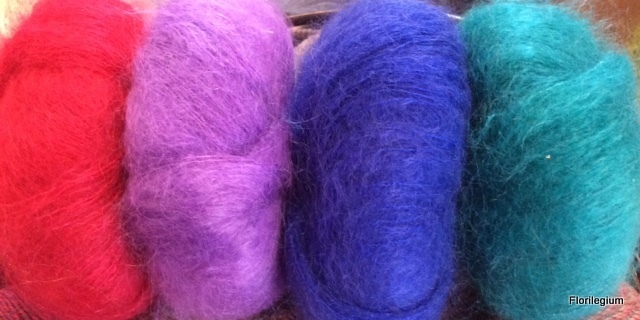 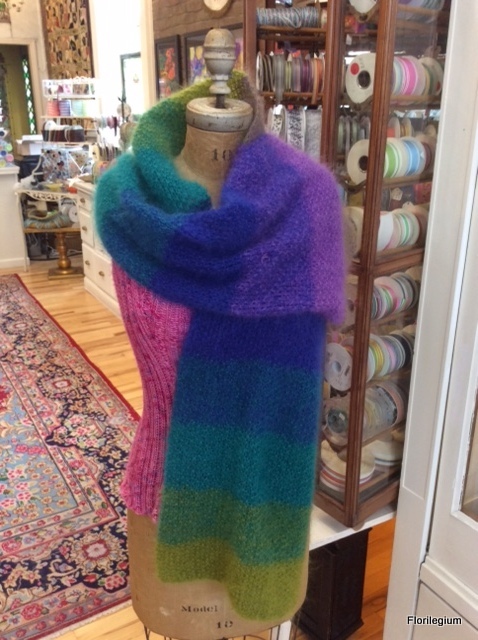 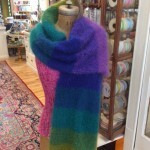 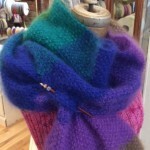 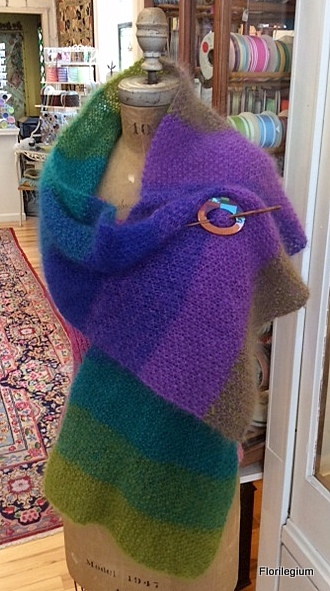 This cloud of color and softness begins with four colors of luxurious silk mohair. 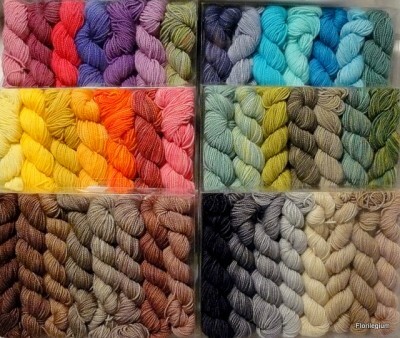 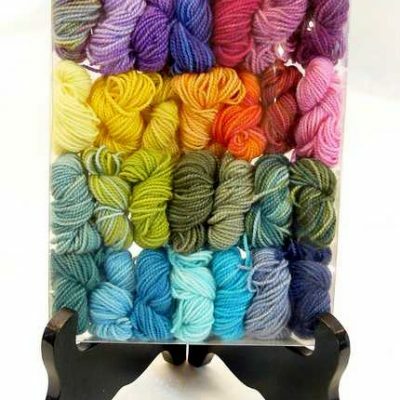 A simple stranding technique yields eight gracefully, graduated colors. 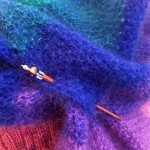 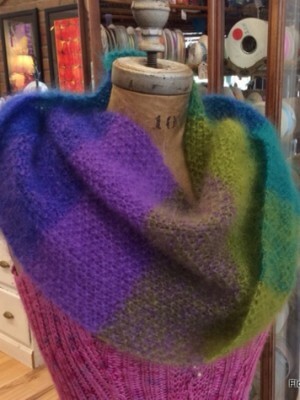 It is knit in seed stitch, creating a subtle texture. 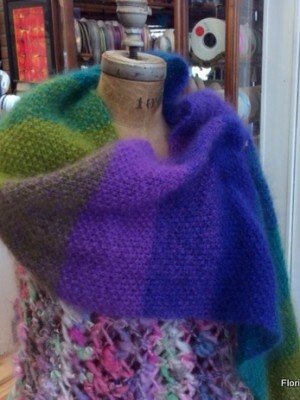 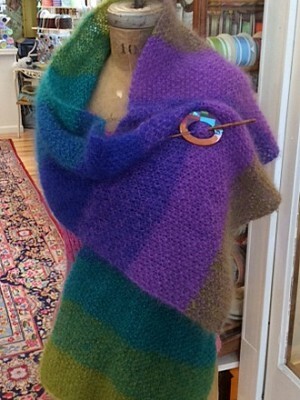 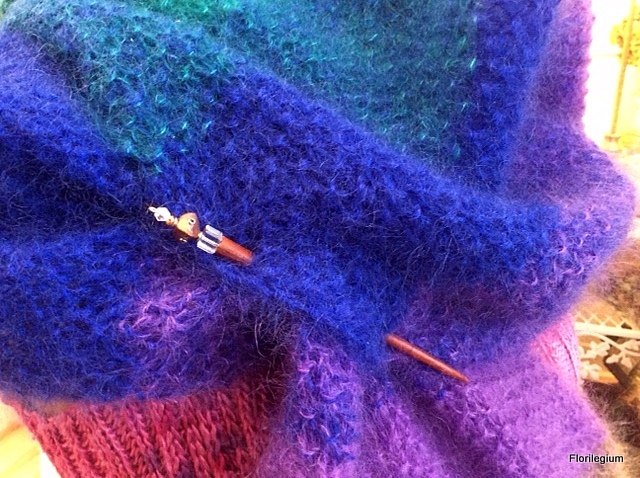 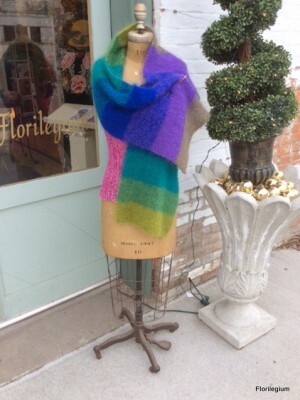 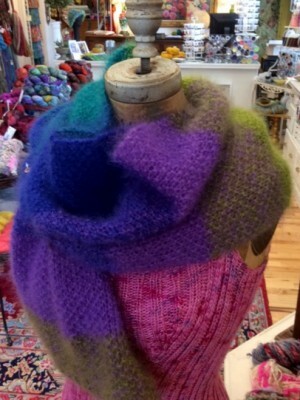 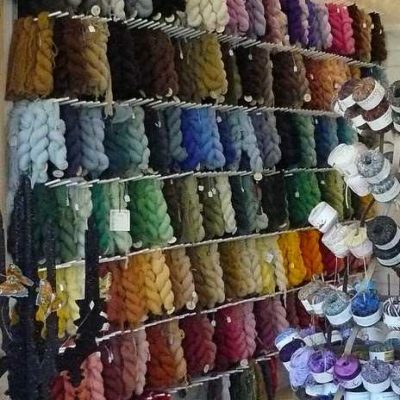 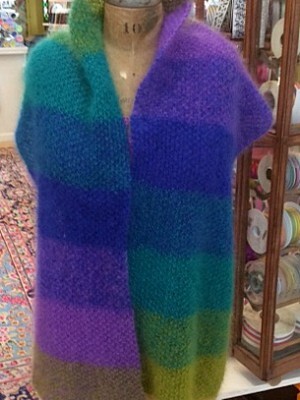 One kit makes a shawl that is 13″ x 67″ or two scarves approximately 6″ x 67″. 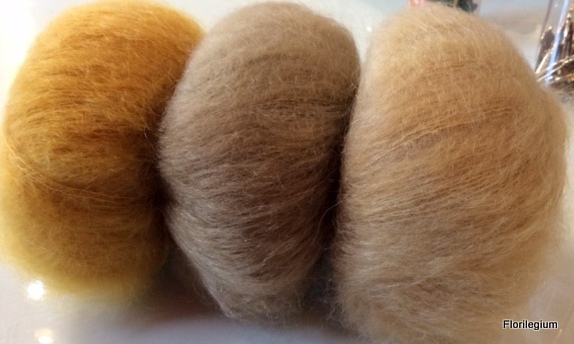 Three kits would make a glorious throw! 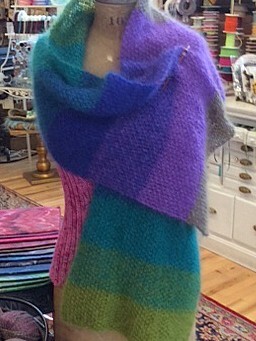 It is available in a spectrum of cool colors (as shown on model), warm colors or neutrals. 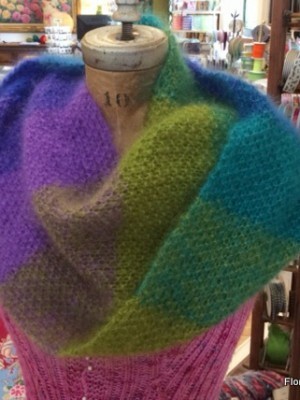 We are also happy to put together custom color combinations. 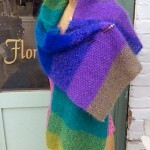 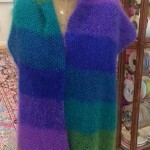 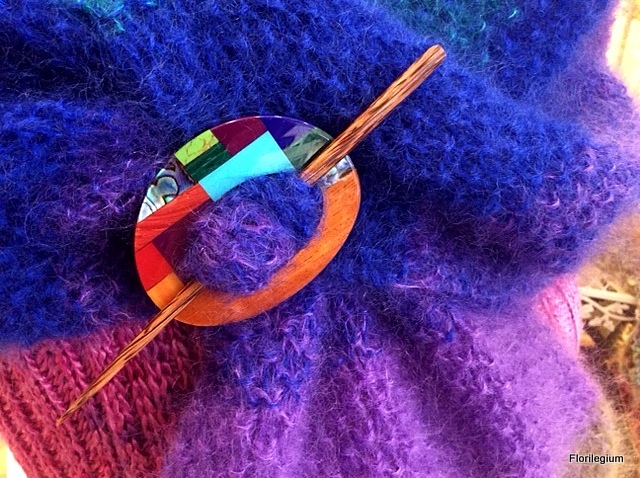 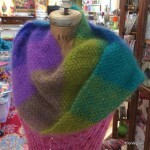 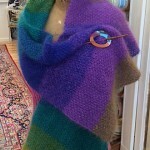 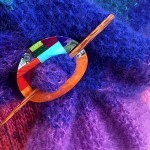 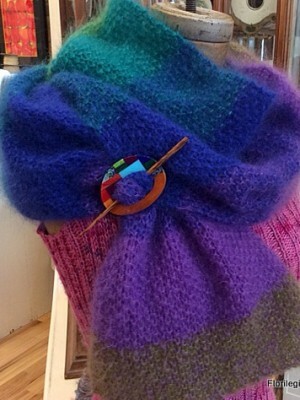 Be the first to review “Spectrum Shawl” Click here to cancel reply.